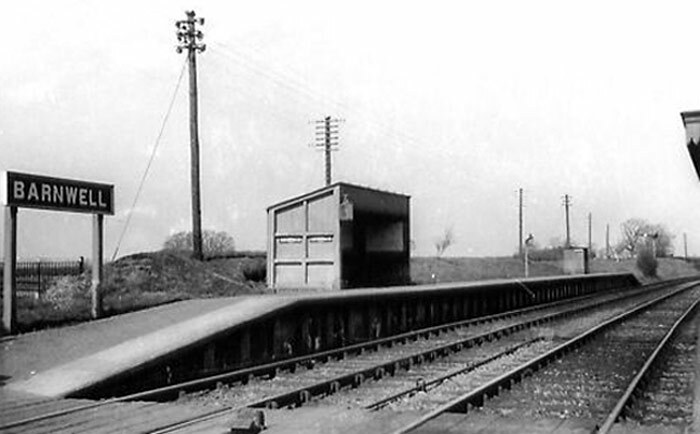 Barnwell Station was opened in 1845 and closed on the 4th May 1964. The station building – the roof of which can just be seen on the far right of the image – was erected in 1884 for the use of the Royal family when visiting Barnwell Manor, the home of the Duke of Gloucester. After the closure of the line in the early 1970s, the building was carefully removed and re-sited as the main waiting room at the Nene Valley Railway HQ at Wansford.